Joe's been playing in LA bands for most of his life. Playing for local favorites "Voo Doo Roulette" and "Pay Per Dollz" has shaped his style and direction. His recent experiences sitting in and traveling with pro bands, the California Girls and 4 Stories has brought him to the point of starting his own project, the SkallyWagz! Lisa Haze has had a respectable career. She has excelled in diverse enteretainment mediums including music, film and television. She had a Sony recording contract and has performed on television shows such as "Dynasty", "The Fresh Prince of Bel Air" and "Night Court". She's also been featured in several films including "Legal Briefs", "Night Realm" and "Killing for Love". 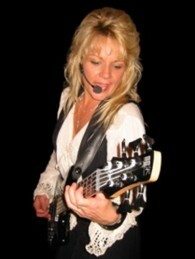 Lisa is currently working with the bands "the California Girls", and of course, the "SkallyWagz". She also owns a childrens entertainment company called happiness unlimited. Check out her personal website at lisahaze.com. Born in Los angeles, Bill Sotelo started playing professionally at 14. He has appeared on local TV show hosted by Elliot Mintz (friend & confidant to John Lennon). He came up through the LA music scene in late seventies & thru the eighties reveling in the New Wave & Post Wave era. 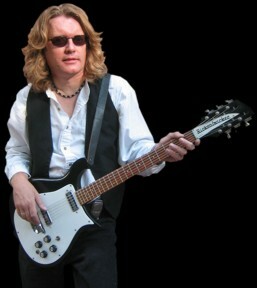 He has opened for bands like Van Halen, Motels, Blasters, Missing Persons, Plimsouls, Go-Go's, Bangles.. etc. and toured Europe with the band "Close Encounter". 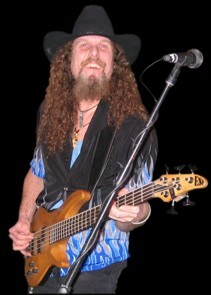 Bill phenominal vocals (both lead and harmony) and high energy Bass style make him the perfect SkallyWag! Born and raised in LA, Mark comes from a family of musicians, dancers, and artists. 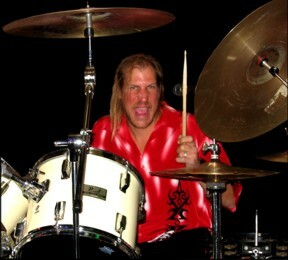 He has been playing drums all his life, and recorded his first drum track at age six. Some recent projects include the popular cover/dance band Cynthia & her Sweet Potatoes, playing around LA and Pasadena. Working on various projects with the McMains brothers. Then moving in another direction with a great blues band, Medicine Train. And working in the studio with the Goods in 2006-2007 turned out two CDs worth of original music. 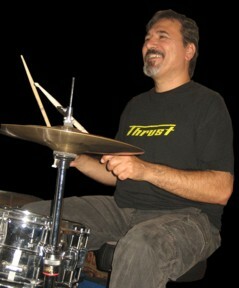 Marks hard hitting steady beat makes him the perfect drummer to round out the SkallyWagz line-up! Below is a whos-who of the SkallyWagz past and alternate members. These people are the cream of the crop of local talent! 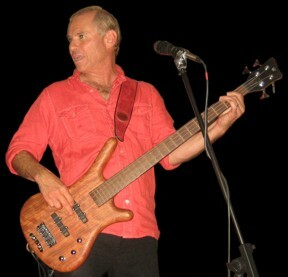 Tommy Dean is an incredible Bass Player AND one the the nicest people you could meet! He's been a beloved member of the SkallyWagz family since the inception of the band! aarrrrggg! If you want a real treat, check out Tommy's main band, the Barbed Wire Boys! The "Madman in the Back", Dave Patt is a show all by himself! This is the guy you want laying down the beat. Dave has played for countless local favorites, including "Kilgore", "Pay Per Dollz" and more recently, "4 stories". If you want a real treat, ask him to sing some Ozzie! Our Favorite Guitar Maniac, Paul Jacques plays electric guitar, slide guitar, pedal steel, lap steel, banjo, mandolin, dobro and just about anything else that one can strum. 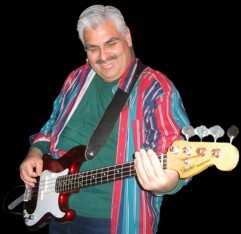 Paul is a veteran of the L.A. music scene with a degree in music from USC. 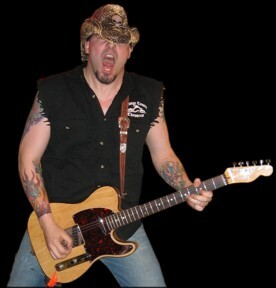 He is also an excellent producer and songwriter and shreds for his own band the Moonshine Mountain Boys! It's always a rockin' show when Paul comes down to jam. Shellie has been playing music all of her life. 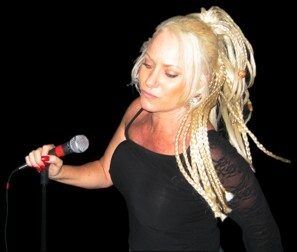 She's the bottom end for a variety of bands including "the California Girls" and her primary band "4 Stories". This girl plays bass, guitar, mandolin and banjo. AND she has a killer voice. Definately a favorite SkallyWag bass player. 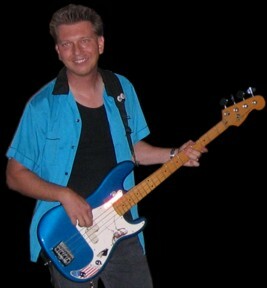 One of the original SkallyWagz, Ronnie is a heavy hitter on bass guitar. When he's not pounding out the low notes for the band, you can catch him hosting the sunday blues jam at the Brass Elephant in Monrovia with one of his other projects, "Red Eye and Blues DeLux"! A veteran of the Los Angeles music scene, Fab Rodig has played locally and internationally for such diverse groups as the RedHot Blues, Panjive (steel drum reggae) and a variety of rock bands including the Coverdogs and, of course, the SkallyWagz! Fab also plays bass in Rattle and Hum, the worlds leading U2 tribute band, and fronts his own reggae rock band Trinidadio that features him on steel drum and vocals.